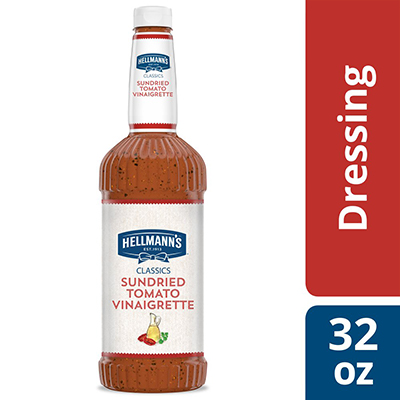 Hellmann's Classics Sun-Dried Tomato Vinaigrette Salad Dressing offers premium quality with shelf-stable convenience. This gluten-free salad dressing is also versatile, with alternative applications ranging from marinades and dips, to glazes and finishing sauces. The Hellmann's name is recognized throughout the world for unrivaled quality and flavor. This premium quality, shelf stable dressing has a sunny Italian taste - great for pasta salads or grilled sandwiches.